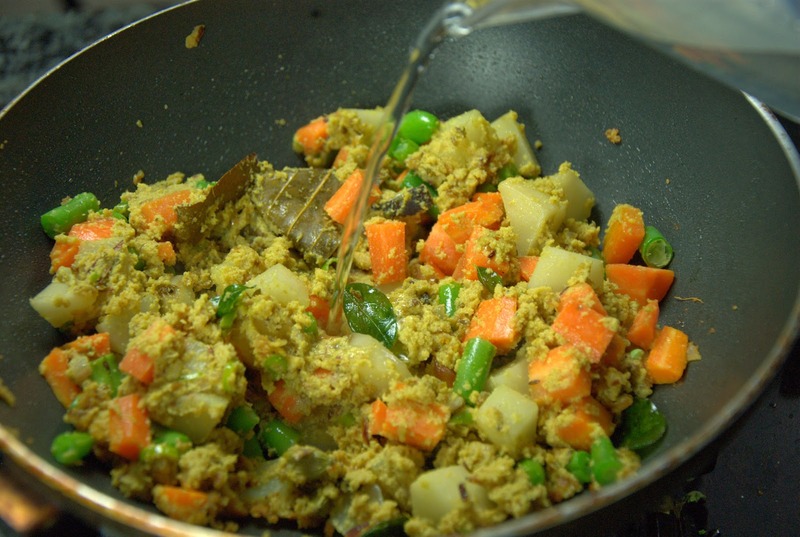 This is an easy and exotic Indian dish. 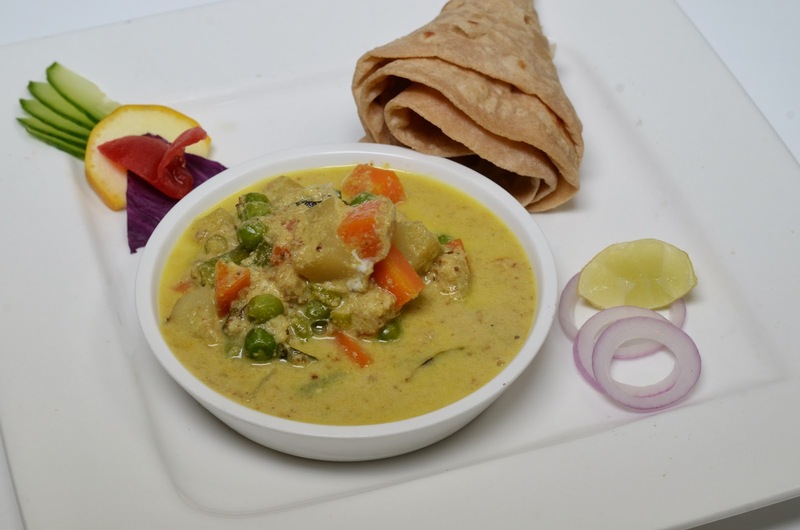 Mixed vegetables cooked in a coconut and poppy seeds paste, It's rich, creamy, mildly spiced, and extremely flavorful, serve this with Paratha, chapati and many flavoured rices. 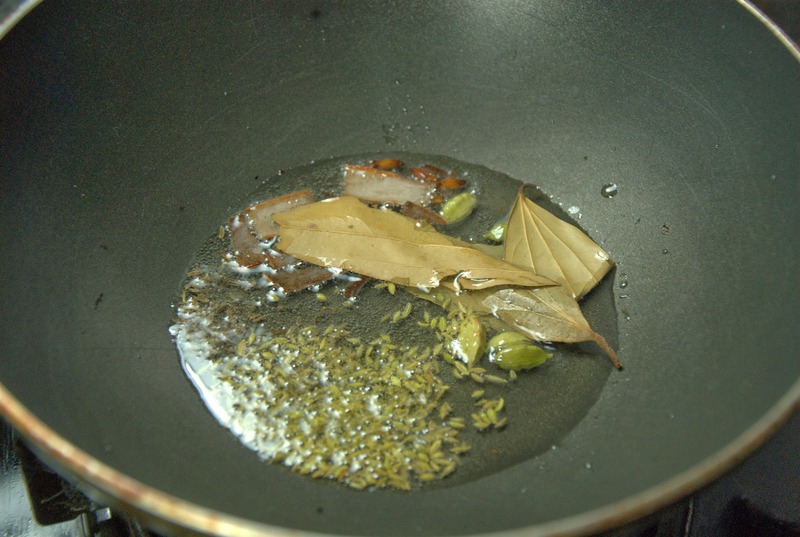 Add cinnamon,cardamom and cloves and fry it for 2-3 minutes. 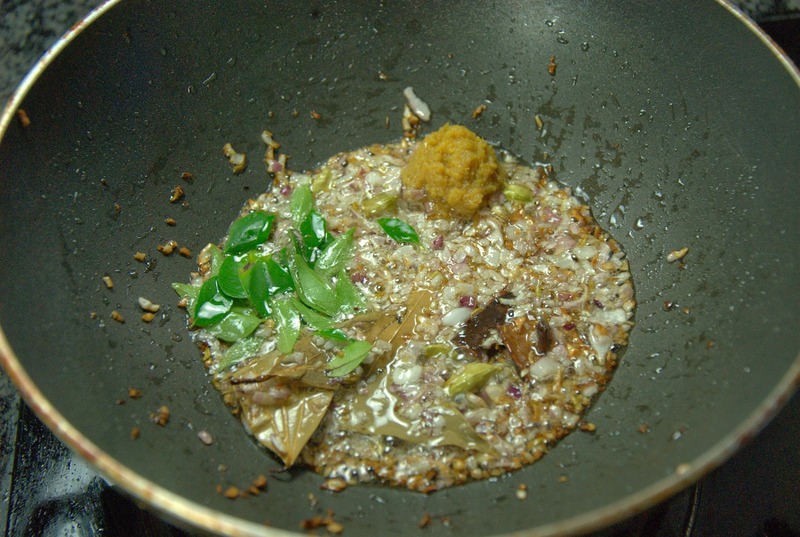 Add onions and green chilies and fry till onions are turn into light brown colour. 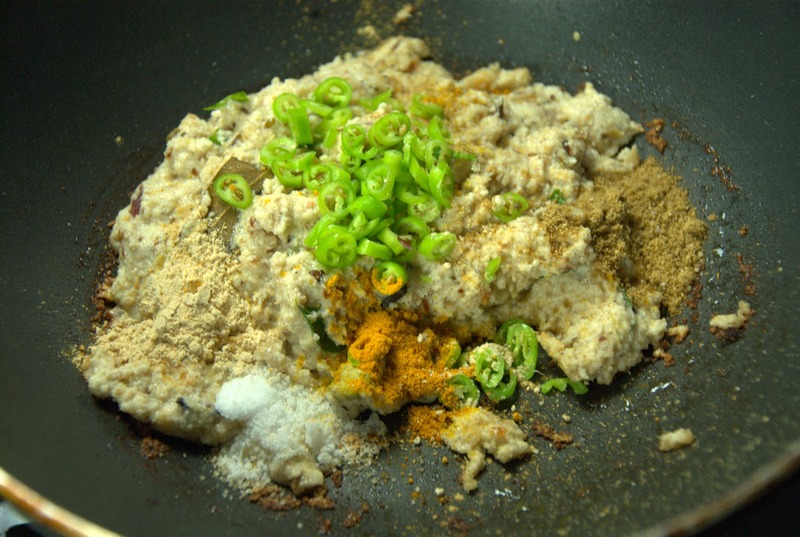 Add ginger garlic paste and fry for few minutes, add coconut, khus-khus paste, salt and cook it till dry. 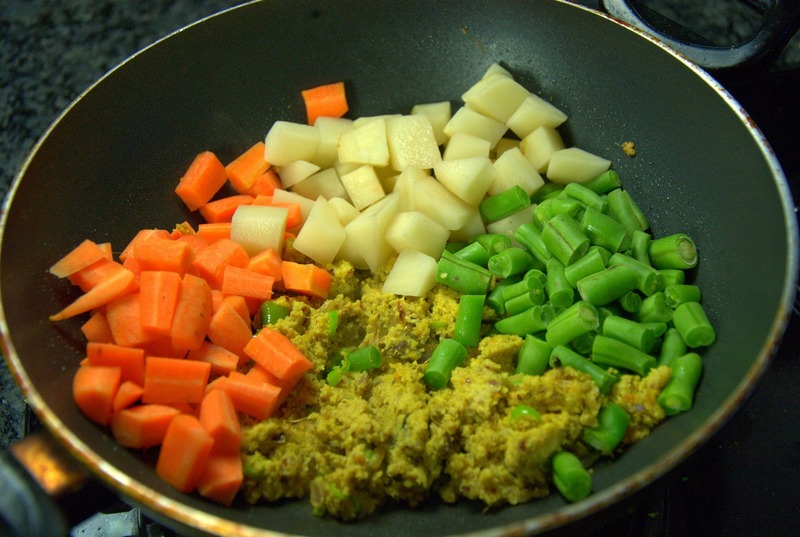 Then add vegetables and fry it for couple of minutes and then add two cups of water, allow the vegetables to cook and oil separates. 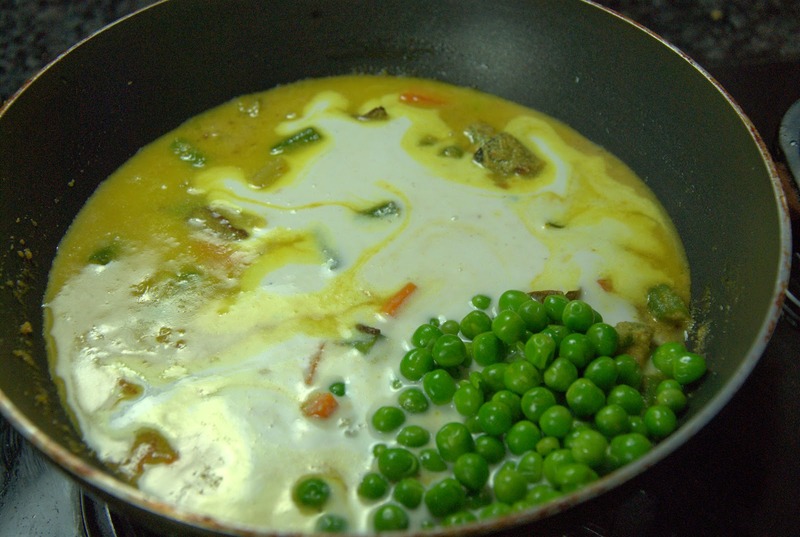 Add the green peas and the end to retain the colour. Add coconut milk and switch off flame. 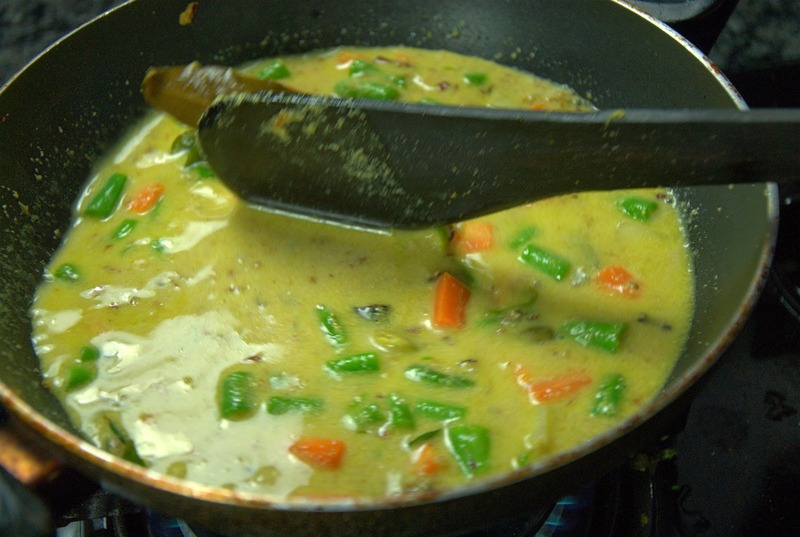 Tags: Vegetable korma, Mixed Vegetable Korma, Navratan Korma,Veg Shahi Korma , Cashew Vegetable Korma, Vegetable Cottage Cheese Curry, carrot beans Kurma curry, Roasted Vegetable Korma, Paneer vegetable kurma . Nice Info! Hence, dietitians around the globe are advising the folks to add all the necessary nutrients in the diet. Your blog caught my attention thanks to the quality of your recipes. 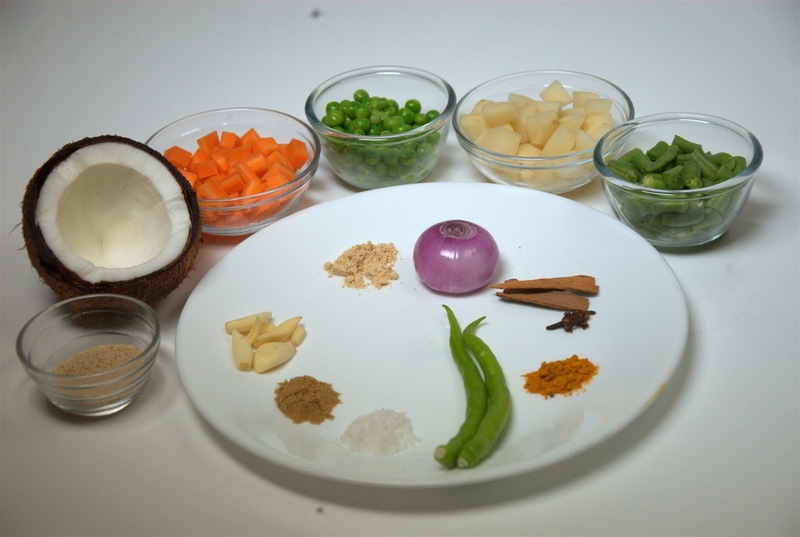 From myTaste.in, one of the biggest recipe search engines in India and in the world, we would like to invite you to add your blog to our site and make your recipes available to lots of people. Great post. As an online shopper, I often prefer ordering food online. But ordering I read many reviews and search for the best deals on the food that I would like to buy. One destination that provides the best quality food online is Foodpanda. If you wanted to get the latest coupons on Foodpanda try GrabOn and save on your purchase. I have recently used Foodpanda offers and was very useful. Excellent blog. I’m glad I discovered it because I love great food and I enjoyed all these great comments. Keep it going! Very nice post, I bookmark your blog because I found very good information on your blog, Thanks for sharing...! Amazing! Not to mention I can't believe I've been following your blog for such a long time. This looks beautiful and healthy foods, Thanks for sharing. Thanks for sharing the recipe. Being a foodie i always try to find the new food stuff on the internet. However same sort of Items, i have tried on the Freshmenu using the Freshmenu coupons listed at Dealsdunia.